How many times have you heard people say, “I don’t like eggplant”? This statement is common when talking about this unique large egg-shaped vegetable. It is very difficult to get kids to try eggplant with such a gloomy reputation. To make eggplant appealing to kids there are a few tips you can try. When getting kids to try eggplant, give them a choice of how they would like them prepared. Say, “do you want eggplant baked with a cheese topping, like pizza or fried into sticks, like french fries.” Either choice is a win win if they are willing to try it. Make sure your kids see you eating eggplant. They are watching you. Make eating and mealtime fun. This is a great time to talk about the eggplant, its history and health benefits. The outer covering on the eggplant is usually a glossy dark purple, but certain varieties are white or yellow. Eggplant is a member of the nightshade family as are tomatoes, peppers, potatoes and sweet potatoes. 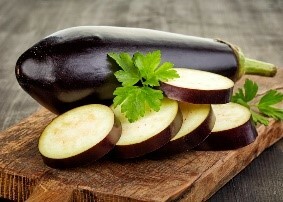 Eggplant is rich in fiber and low in calories. They also contain vitamin B1 and cooper. It is a good source of manganese, vitamin B6, niacin, potassium, folate and vitamin K. Eggplant contain antioxidant enhancers and phytonutritients such as nasunin and chlorogenic acid. They are especially rich in anthocyanins, a type of pigment with antioxidant properties that accounts for its vibrant color. Studies have shown that eating a diet rich in fruits and vegetables including eggplants could help prevent many types of chronic disease, such as heart disease and cancer. Get your kids to eat eggplant by trying this recipe. Cut the eggplant into 1/2 inch wide by 2-inch long sticks (one medium eggplant makes about 40 sticks). Placed the cut eggplant sticks on a paper towel for 5 minutes to absorb any moisture before dipping them. Making an “assembly line” of three bowls, place the flour and salt in the first bowl, the beaten egg in the second and breadcrumbs and parmesan in the third. 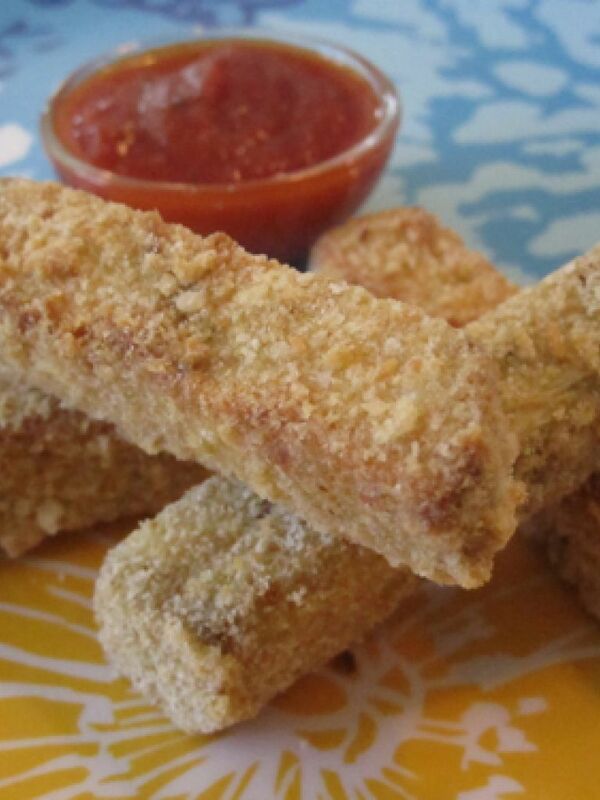 Dip the eggplant sticks in the flour mixture, followed by the egg and then in the breadcrumbs. Place on a cooking rack over a baking sheet and lightly spray with cooking oil spray. Bake for 25-30 minutes or until soft inside and golden outside. Serve with marinara sauce on the side.